Back with another web toon finishing recently, needed more vampire/romance from my experience with Untouchable. Young vampire Mari is always on edge afraid of others finding out what she really is. From Mari’s family and her being driven away from every new place, it’s left Mari empty inside in ever having friends, life of her own. Mari catches the attention of popular Jaemin after smelling is sweet blood, biting his neck without realising till after of doing. Mari wanting to remain invisible to others, she’s attracted unwanted attention and new emotions begin to envelop her. Right after readingUntouchable, just quick as turning on a light became hooked on Orange Marmalade. What is this ridiculous hold webtoons hold over me? 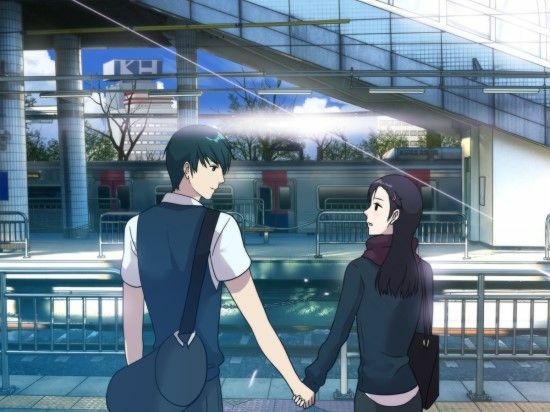 This series is the most popular manwha I had heard about, upon discovering. It was as if my prayers had been answered as was hoping to find a teen vampire web toon. 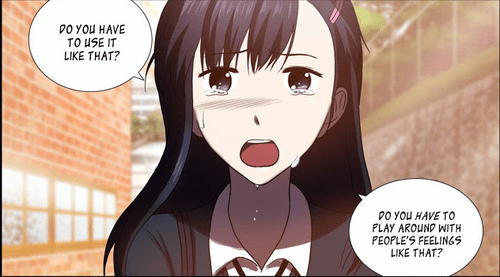 Orange Marmalade story premise is something that any reader will feel related too. At the beginning of reading this series Mari is like an empty shell, feeling disheartened in the idea. Vampires will be seen as nothing but blood sucking monsters. Creating strong walls between her and people, steer clears of others convincing herself she’ll be just fine. That others wouldn’t understand, how that fear plagued with her mind turned her bitter, which is sad. The theme of acceptance is presented in such a transparent understanding that readers like me were easily to feel invested in the story, characters. After Mari meets Jaemin her world slowly begins to open up, though it was actually funny how stand off, Mari was towards him. People who’ve experienced feeling shunned or outcasted might come off as Mari was, not letting Jaemin that easily. Her feeling Jaemin would just be like the rest that prejudgment after so long, leaves you stuck in that mindset. Reading through Mari’s struggle reminded me of my struggles dealing with bullying in school, fear of noone accepting me due to my autism. Which I’ve talked aboutbefore but no longer that fear has a hold over me, coming to terms people will accept me or they won’t. Mari’s friend Soo rin finding out she’s a vampire was a massive turning point for Mari. All the cooped up feelings finally felt like release in that moment Soo rin wasn’t afraid of her. Like for Mari I remember meeting my best friend at the time, along with others how so open they were. For the first time you feel a sense of belong even if it’s small, that’s how to me Mari must have felt. From that point her walls came down, people got to see underneath, this sweet girl. Mari wanted to put herself out there after this point, the feeling was so new to her but reminds me the lengths myself went, during school to just even be liked by anyone. Not just in Mari’s struggle you’ll feel the emotion rope tug on you but with all the strong characters within the story. Been a long since feeling for a cast of characters till reading Orange Marmalade. The series does it brilliantly separating the focus from Mari with the side on goings for example regarding Jaemin. There’s heavy tension involving Jaemin’s relationship with his mother which is tied in well, having to do with Mari being a vampire. No.. is not Mari’s mum is a vampire before you think I spoiled anything. It is touching the emotional impact Mari’s new circle of friends have over her. Very hard to not feel related to Mari’s character in some form either in yearning of acceptance or from being bullied. It demonstrates that exposing yourself to others will allow you change, you may not realise it. Learning the true ones who will stick around and the ones that won’t. Two love rivals Si Hoo (vampire) and Ahra (love rival) were apart of obstacles for Jaemin and Mari. Especially Ahra excessively mean in anyway possible to have Jaemin, even after all Ahra had done. Mari still gave her the benefit of the doubt, seeing their was some good but if you ask me Mari was too nice about all of it. If it were me would have said bye bye, get away from me. 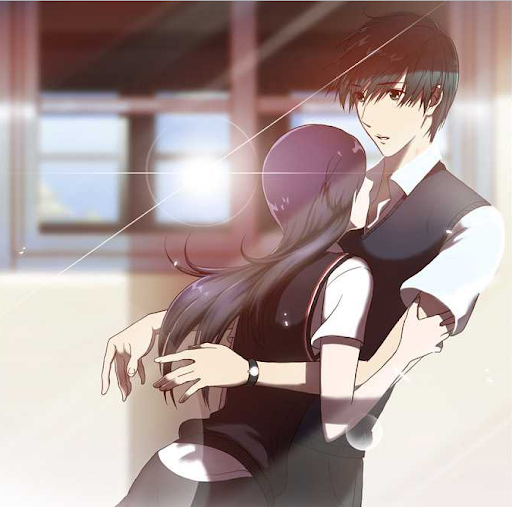 From a glance Orange Marmalade may seem generic at the start but explores the themes of bullying and the fear of what people don’t understand. The aspect focus of media when Mari is found out causes major distress, that shows you can’t believe everything you watch or read. It was a beautiful read, experience I got from this series, shame not reading it sooner would have been good for one of Owls blog tours. Romance element was adorable and heart warming, strong feel romance fans won’t be disappointed in this aspect. If I had to say it was better than the twilight movies…. then yes thousand folds. 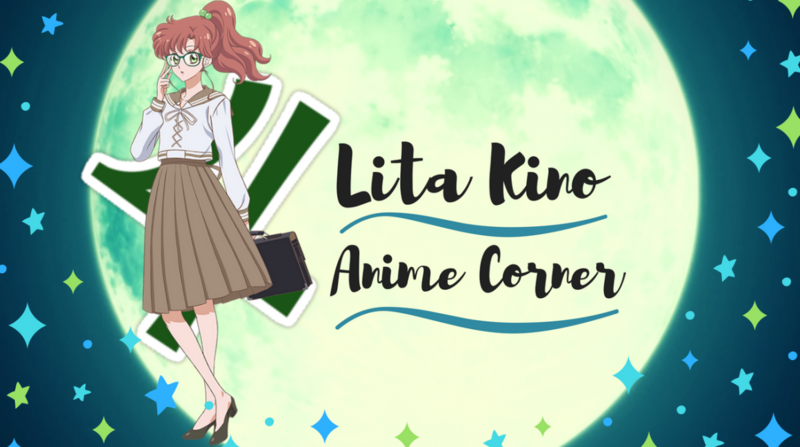 Hope you enjoyed hearing my thoughts on Orange marmalade. For anyone that has else read this series, leave your comments below !! I read this webstoon years ago and I loved it! I’m not really into romance manga but this was a brilliant one. Mari was such a relatable character to me, she reminded me of when I was in school and how I tried desperately to be liked by everyone.